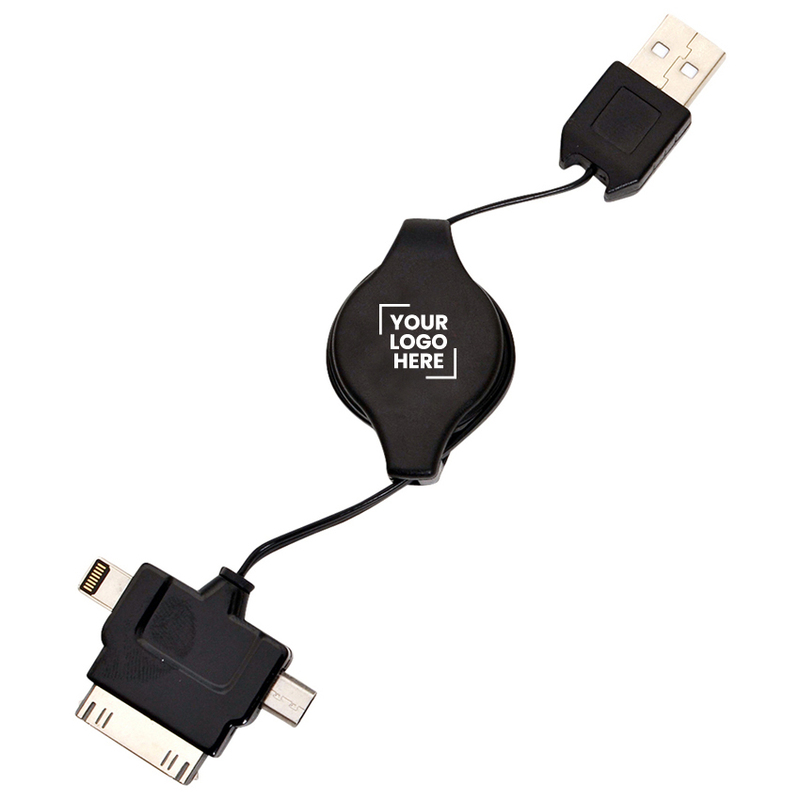 This charger includes everything you will need to easily and quickly charge your mobile phone from a USB port. Helps to avoid tangled or bulky messes. Comes with iPhone Charger and Mini USB connectors. Compact and perfect for travelling. Imprint directly on the item or have a full colour digital insert. Colours: Black or White, Dimension: 775mm Fully Extended. Price includes : 3 Day Service* Screen / Pad Imprint - One Colour/Location . Setup is included.